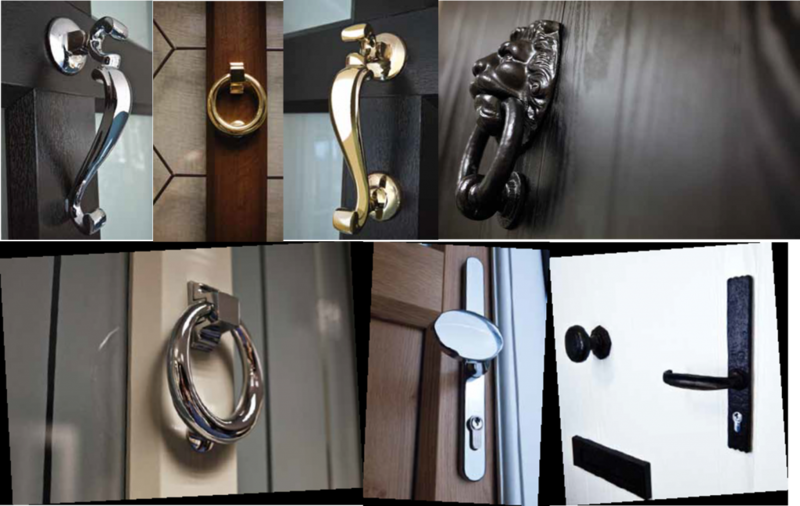 The English Door Company™ offers an exclusive range of designs, style options and accessories. Every door we make is unique, not only is each one made to your exact size requirement. Every aspect from the design, colour and glazing, down to the detail of door furniture, is chosen by you. 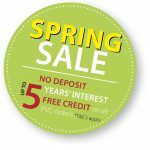 The English Door Company™ offers you an exciting range of door choices for your home. Our new collections comprise front doors with a variety of glazing options; an extensive selection of rear and side entrance doors plus our assorted French Door styles to suit your space and style requirements. There are a wealth of options available for you to create a new door that is totally unique. Our range of over 60 door designs have been modelled on both period and more contemporary styles to offer you a diverse choice. We have carefully selected simple palettes that offer natural, traditional and trend colourways to complement your existing colour scheme. 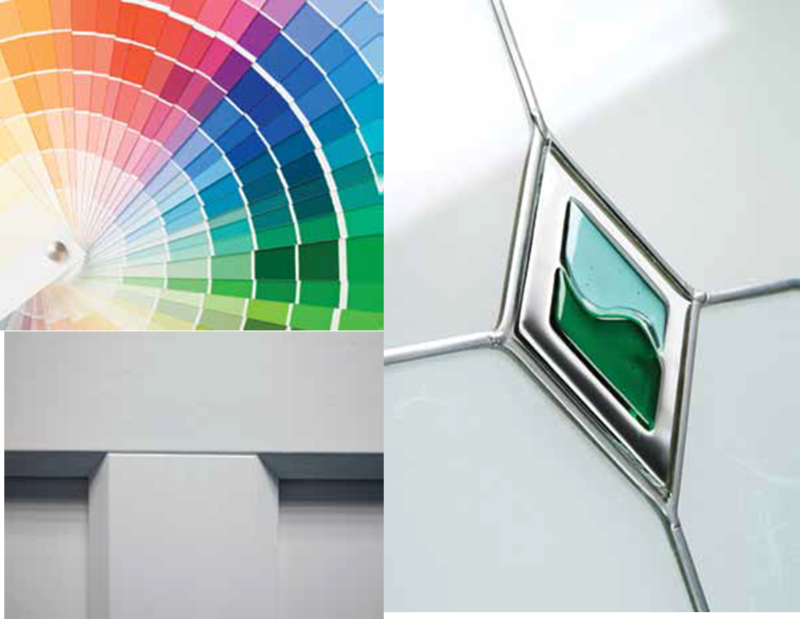 Why not try our new Bespoke Service, choose any colour for your new door and any design for the glazed panels. Our new colour matching service enables us to colour finish your door to the colour you choose. 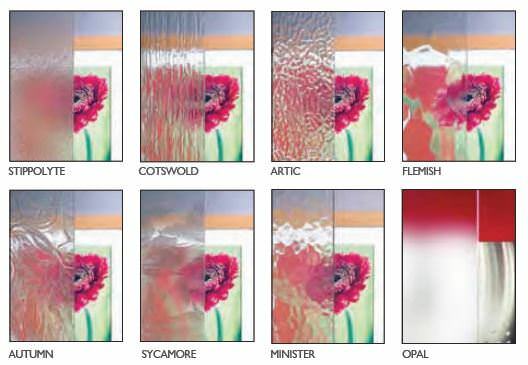 You can also design your own door glass so why not make your door as unique and individual as your home. Complete the look with our new range of premium brass and chrome accessories which add a luxurious finishing touch. Each door design offers all the aesthetics of timber, showcasing excellence in craftsmanship and joinery skills alongside the outstanding benefits of modern materials and the latest manufacturing techniques. This innovative combination ensures that your new door will last for many years, with virtually no maintenance, yet offers superior energy efficiency and greater security than ever before. Our new range of Stormproof doors offer you an exciting collection of designs, encompassing authentic representations of period styles and those with clean, contemporary lines. Each door in this range is manufactured using the very latest modern materials and combining our unique talent of using state-of-the-art technology with age-old hand crafted joinery techniques to our timber-style white wood effect outerframe, right down to the exquisite arris detail to joints and bars, usually found on premium door ranges. To ensure your peace of mind all doors in the range are highly secure, each door is fitted with a multi-point locking system to make sure that any unwanted visitors are kept out of your home. Our new Stormproof range has been built to withstand all weather conditions, they offer high levels of resistance to even the most extreme conditions whilst still being virtually maintenance free. A simple wipe with a damp cloth from time to time is all that your new door needs to keep it looking it best for many years. At The English Door Company™ we do not believe in manufacturing standard size doors. We make every single door to order – to the exact dimensions of your doorway. Each door ordered will be professionally measured and then built to your specification, which will ensure a seamless on site installation experience. Each door is supplied with it’s own unique white-wood effect outerframe and an aluminium threshold. Are you looking for a door design that’s a little different, maybe with contemporary elements to suit your taste or something more traditional that will complement the character of your home. 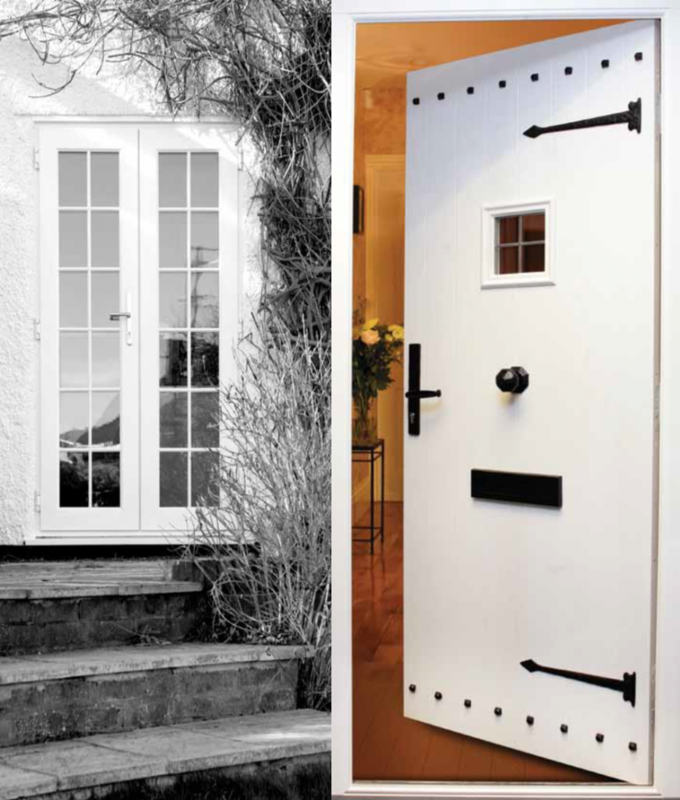 Our Stormproof range has a varied selection of door designs that will suit any property, regardless of the age or style. Our white-wood effect outerframe with timber-style joints (patent pending) ensures that all doors supplied by The English Door Company™ deliver a seamless fit and perform to your highest expectations. 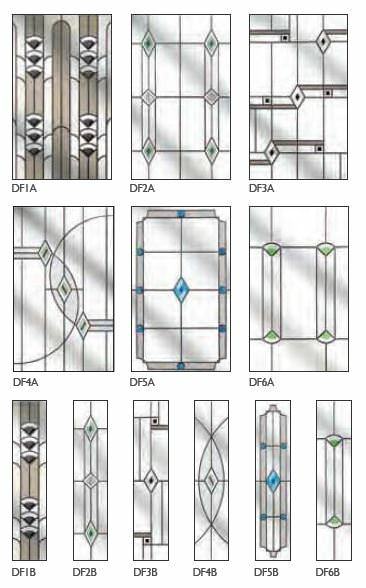 Each aspect of your door has been assessed by design experts for quality and authenticity. We have gathered together a collection of designs that emulate classic and modern styles. You will find an abundance of features with selected designs showcasing our exquisite arrised detailing. 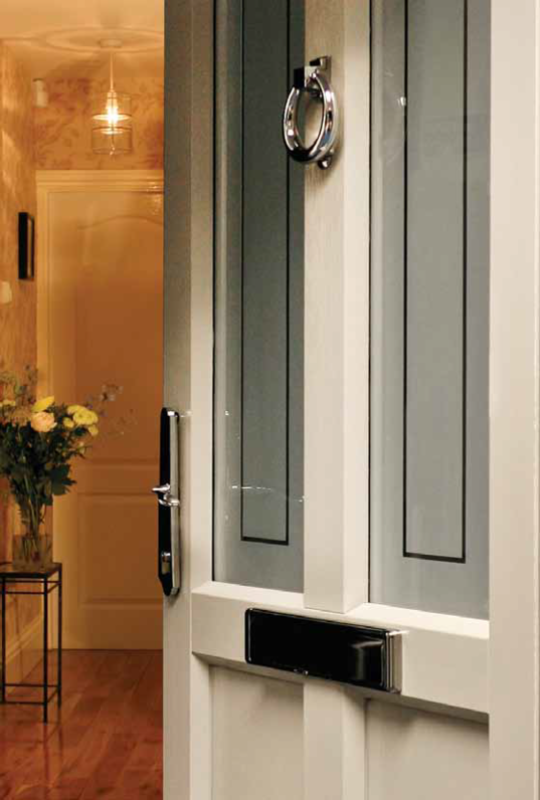 All of our doors feature larger glazed areas than other modern doors. To ensure your peace of mind all doors in the range are highly secure, each door is fitted with a multi-point locking system, the latest locks and hinges and secure glazing panels to make sure that any unwanted visitors are kept out of your home. The door also offers excellent sound proofing as well as highly efficient thermal insulation. The sturdy threshold that we fit is made from aluminium which makes it extremely durable and less susceptible to damage and marking. Just like our doors, it only needs an infrequent wipe down to maintain its good looks for a long time to come. 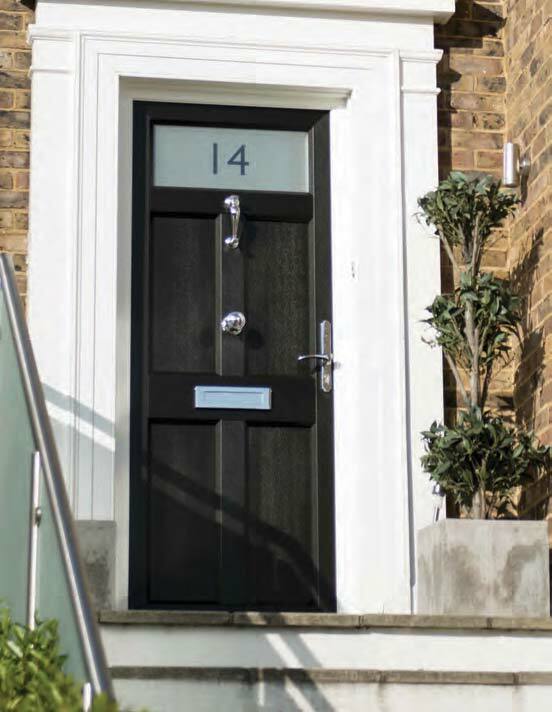 The doors are manufactured to the same exacting high standards as our front doors and provide the same excellent thermal insulation and soundproofing. Low maintenance is even more important for these doors as often they are used more frequently in everyday life. Being able to keep them clean with a simple wipe with a damp cloth is really important. The doors are extremely durable and will retain their good looks for many years without the need for painting or other maintenance, despite enduring the knocks of day to day life. Our French Door collection is an attractive way to add value to your property, as well as providing easy access. A French Door brings a room to life by flooding it with light, helping you to enjoy your outside space. We have a wide range of designs to choose from, to complement the style and character of your home, or reflecting the demands and requirements of everyday life. Our cottage door collection offers all the benefits of a modern door but with the characteristics and period style that delivers more rustic appeal. This high quality door range is offered with a choice of traditional designs with colour and glazing options to suit any home. A selection of textured, authentic wrought iron accessories complete the look. Whilst design plays an important part of the overall impact of your door, the colour you choose can make it truly individual. its surroundings, or stand proud and demand attention. Only you can decide what works best for your home. to any colour you choose. We can even match to your plant pots or your favourite colour jumper! 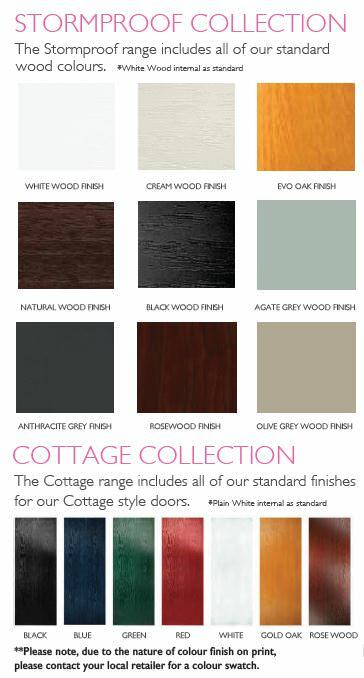 Alternatively, we have a standard range of colours in our Stormproof collection and a range of colours to suit cottage doors. From simple graphic patterns, to intricate bevelled designs, our vast range of glazing options will delight even the most discerning tastes. Decide how much light and colour you need and choose the style that fits your requirements. Should you have something more specific in mind, try our BESPOKE service and design your own. patterns offering different levels of privacy. 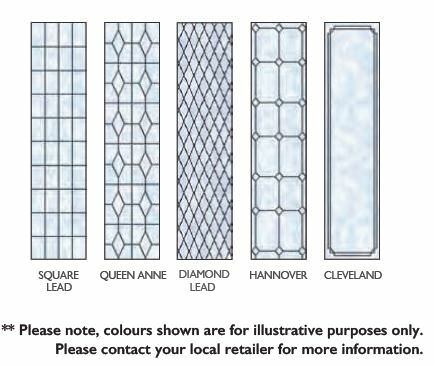 Leaded glass has a rich heritage and has been a trusted glass feature of choice over many centuries. 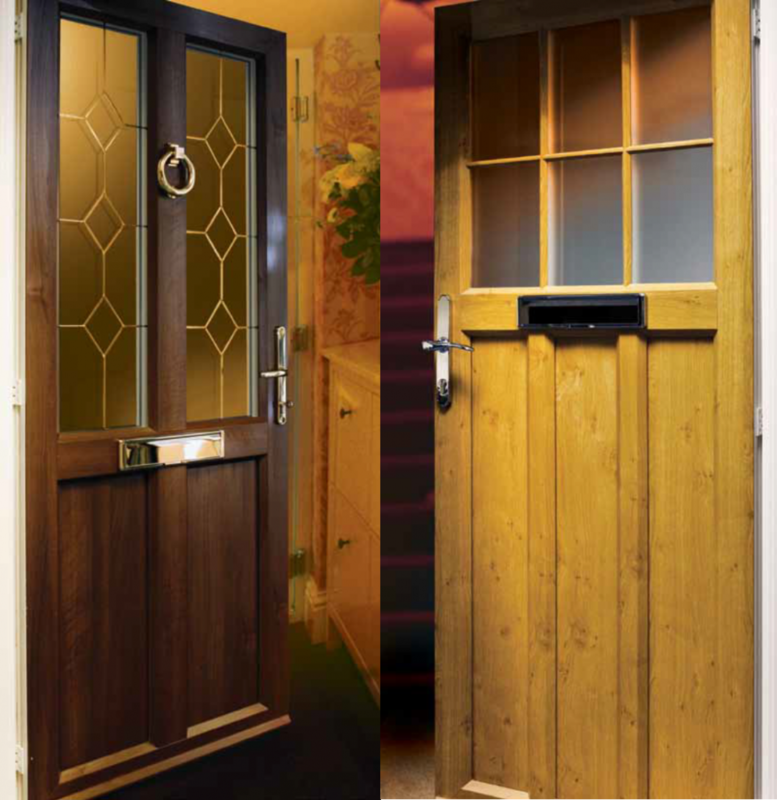 Yet it is still as relevant and popular as ever, enhancing both comtemporary and period door designs. For a subtle effect to your glazing panels, why not consider a vision etched design. This finish is ideal for adding personal touches to your door, such as your house name or number, or for creating simple linear patterns and shapes. Using vision etching allows you to create a unique effect without having to use lots of colours or textures. 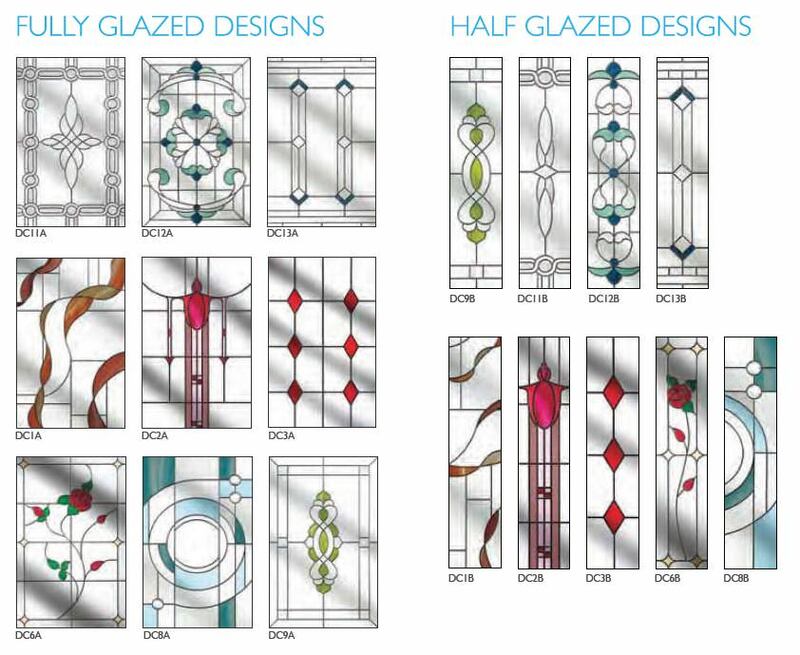 These eye-catching, linear designs will enhance any style of door. Colourful and elegant, the symmetrical styles create a stunning visual impact. 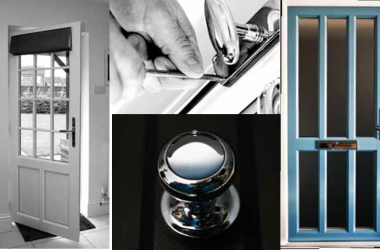 The English Door Company offers a range og highly desirable door hardware carefully selected to complement our door designs. Additional security ironmongery, such as security chains, can also be added to your door specification.